International shoppers often want to know if there is an eBay Japan website, like in other countries, where they can find all of their favorite, cool Japanese things. There is an eBay Japan website, but it works a little differently to the eBay websites in other countries. To explain further here’s a little more about the story of eBay in Japan and other Japanese online auctions. Auctions have been around in Japan for a long time. Natively called “seriuri” or “kyoubai,” you’ll mainly find them selling fish and vegetables, second-hand items, or antiques. You may have heard of one of their most world-known auctions popping up in the news now and again- the Tsukiji Fish Market, Tokyo (who hosts the massively popular tuna fish auctions.) Some of their tuna fish sell for millions of dollars each! By the time online auctions started to make a global appearance, then, Japan was well practiced in auctions and eager to try them online. So, when Yahoo! Japan Auctions launched in 1999 as Japan’s first “netto okshon” (literally, “net auction”) website, it was met with massive success. Sellers could guarantee high prices for almost anything they sold. It was the golden age of Japanese online auctions. To join this success, eBay set up its Japanese auction site in 2001. However, having come just a couple of years too late, the eBay Japan website couldn’t overtake Yahoo! to dominate the Japanese online auction market. As such, they had to stop their auctions in 2002, followed by a full close shortly afterward. Yahoo! Japan Auctions had gained the “first come, first served” winning edge that it needed to be the largest online auction site in Japan. Since then, Yahoo! has only strengthened its position. As a result, another well-known Japanese online auction website, Bidders.co.jp, had to close down in March 2013. E-commerce giant Rakuten, also unable to keep up the pace, discontinued its auction service in 2016. Yahoo! had won the battle for Japan. But, if Yahoo! did so well in Japan, why isn’t it in other countries, too? It did once have operations in other countries, including America, the UK, Ireland, Singapore, and Australia. Although Yahoo! had great success in Japan, eBay was the dominant force in these locations. This time, Yahoo! was the one to shut down, focusing instead on their markets in Japan, Hong Kong, and Taiwan. This was a battle that eBay had won. Continuing from their success from 20 years ago, the leading online auction site in Japan is still Yahoo! Japan Auctions. With tens of millions of listings available at this moment, Yahoo! is a real paradise and must-visit-website for any collector or fan of made-in-Japan (MIJ) merchandise. For anyone who is familiar with online auctions, you can imagine it to be the Japanese equivalent of eBay. 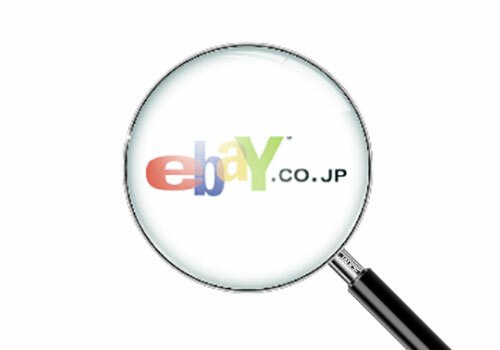 As for eBay, they currently use their eBay Japan website to provide help and information to Japanese sellers who are looking to use eBay websites in other countries to sell internationally. Currently, it has no product listings and nowhere to make a purchase. Unlike the other eBay websites, eBay Japan is primarily used for training purposes and is no longer intended for buying and selling. eBay does, however, still show interest in the Japanese market and the opportunities it holds. Recently, their name is often mentioned as acquiring other Japanese websites, so who knows where it may go in the future? Want to know more about buying from Yahoo! Japan Auctions to get YOUR favorite Japanese products? Check out the post, below, to find out how you can easily bid and buy to start your online shopping journey with Japan.